Counterparty risk is the biggest danger with trading bitcoin. You can be the best trader in the world and lose your portfolio by having your exchange go bankrupt. Oftentimes an exchange will show signs of weakness long before going bust. In the Bitcoin world, reputation is everything so do your research before sending money to an exchange. The following three exchanges have been selected due to tight security, liquidity, good customer service and advanced trading features. Leverage is an important prerequisite for serious traders so spot markets are left out of our recommendation. BitMex is a bitcoin futures trading platform run by professional traders who have experience in the legacy financial markets. 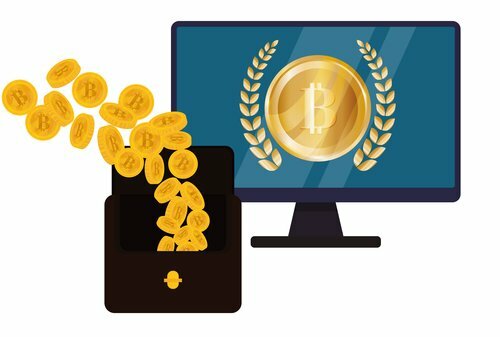 This is one of the most sophisticated bitcoin trading platforms in the industry. Trading Options: Quanto and inverse bitcoin futures contracts. They also offer contracts for trading litecoin and ether. Best Features: BitMex offers the highest leverage in the industry with contracts that go up to x100. Having access to higher leverage allows traders to make money on smaller moves, which makes BitMex the best exchange for scalpers. Their contracts are settled by a weighted average across multiple exchanges to prevent manipulation. Their fees are low, market makers pay .025% and takers pay .075%. They offer educational resources for traders with great customer service. Problems: Some of their markets lack liquidity and a loose spread can make it difficult to get out of a trade quickly. All their withdrawals are processed once a day by hand, which is good for security but delays access to your coins. Poloniex is the best altcoin exchanges around. They have a solid reputation and offer a wide variety of markets to trade in. Trading Options: Spot, x3 margin and swap lending for multiple altcoin markets. Best Features: Poloniex is one of the only exchanges that allows margin trading for multiple altcoin markets. They have the best altcoin liquidity available. Problems: When Poloniex first opened they got hacked and lost $50,000 worth of bitcoins. They were upfront with communication and managed to refund everyone within a couple of months. They haven’t had any hacks since. Note: We trade on these exchanges on a regular basis and find them to be reliable. That said, make sure to exercise due diligence and investigate before trading on an exchange. Past performance of any exchange doesn’t guarantee future results. Bitcointalk.org and reddit.com, are two places to stay up to date on information.